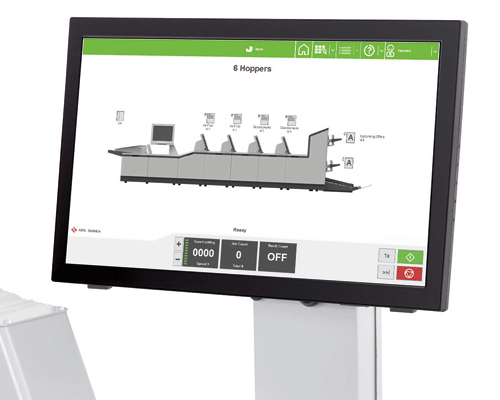 A 22” color touchscreen interface guides operators through job programming and functions, and with unlimited programmable jobs, it’s even easier to run recurring or frequently processed applications. The 7104 Series has optional Intelligent Feeders with the ability to read 1 and 2-track OMR, 1D Barcodes and 2D Data Matrix, with codes located anywhere on the document, front or back. 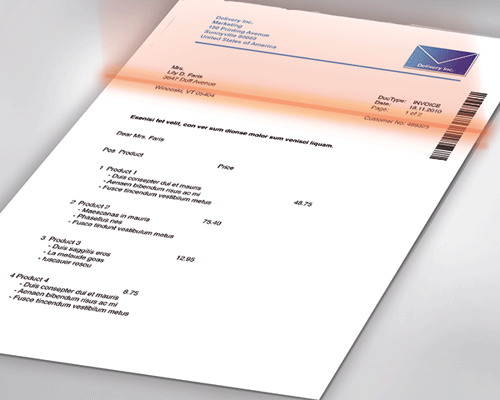 Mechanical Double Document Detectors ensure the correct documents get into each envelope, allowing for the automatic insertion of multiple-page documents, which eliminates the tedious task of manually collating and inserting. 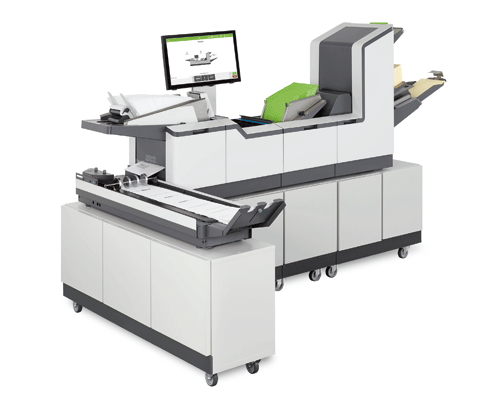 The 7104 Series processes up to 4,500 envelopes per hour (up to 5,500/hour with the optional Productivity Package), producing up to 180,000 finished pieces per month. 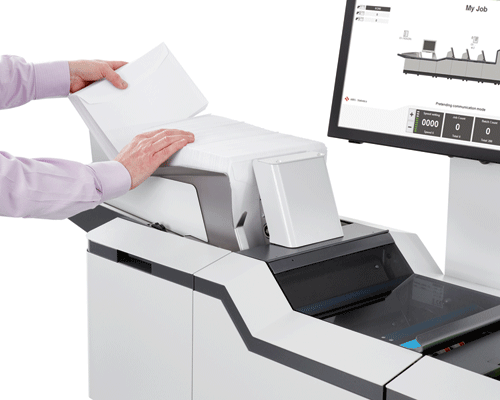 The robust folding system folds up to 8 sheets at a time. Feeders can also be linked with a Cascade Mode to maximize output by connecting feeders filled with the same document. When one feeder empties, the next automatically starts feeding. 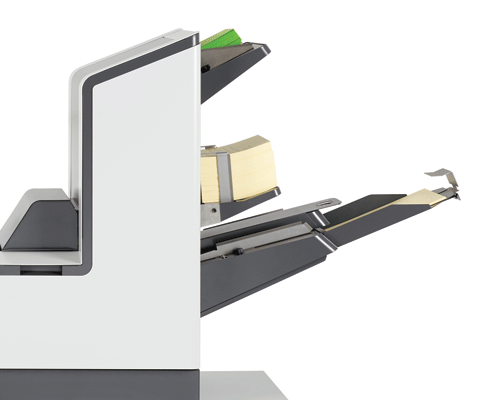 Optional Insert Feeders are top loading making it easy to reload on-the-fly, and provide the ability to insert a variety of media, including glossy booklets. Standard features include a high-speed/capacity Accumulator and Divert Deck, ergonomically-designed Custom Cabinets on casters for convenient moveable storage, and a High-Capacity 4-foot Output Conveyor which can be used straight-on or at a 90 degree angle to the system.